Tears in Rain Nigerian movie 2013 is showing for free on Nigeria's Movie Network - starring Patience Ozokwor, Chika Ike, Clems Ohameze, Chinyere Wilfred, Chibuzor Emelu Simon, Regina Ojeogwu, Prince Nwafor, Doris Ogala, Chioma Emenike, Bobby Blaise Nnadiekwe. 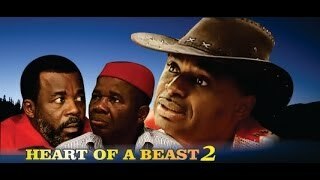 You are watching Part 1 of this African movie. Tears In Rain Nollywood Storyline: When you fall into one problem it seems like they never stop coming. That was the case for Ojiugo and her dying husband, James. Their situation led her to make a choice that was against their tradition. Although their case was a bit different, according to tradition they could no longer live together because of Ojiugo’s act. Regardless of the strong love they had for each other Ojiugo had to leave her husband’s home. James refused to accept this fate and decided to go against the tradition of his land. What will happen next? 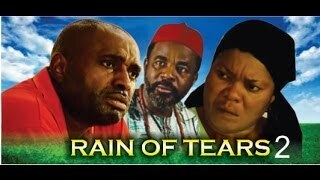 Watch and find out in Tears in Rain Nigerian movie. Movie Cast: Patience Ozokwor, Chika Ike, Clems Ohameze, Chinyere Wilfred, Chibuzor Emelu Simon, Regina Ojeogwu, Prince Nwafor, Doris Ogala, Chioma Emenike, Bobby Blaise Nnadiekwe.